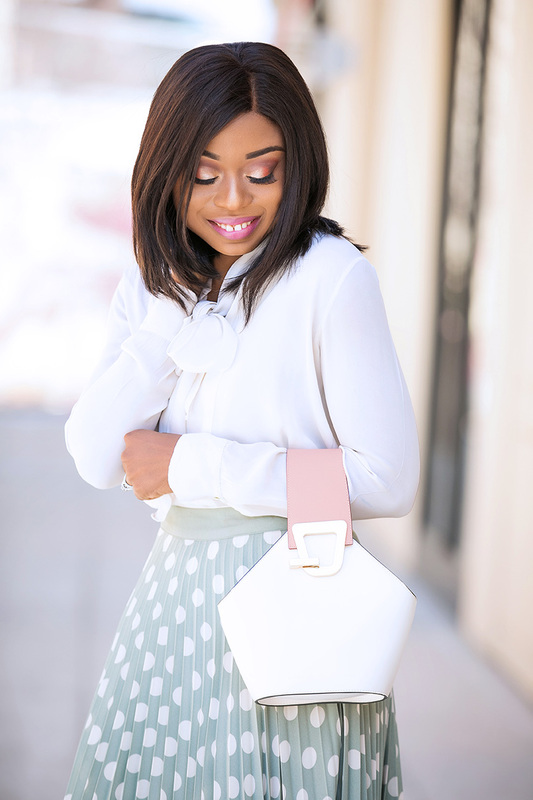 Polka dot and pastel colors are definitely getting a lot of my attention this spring. 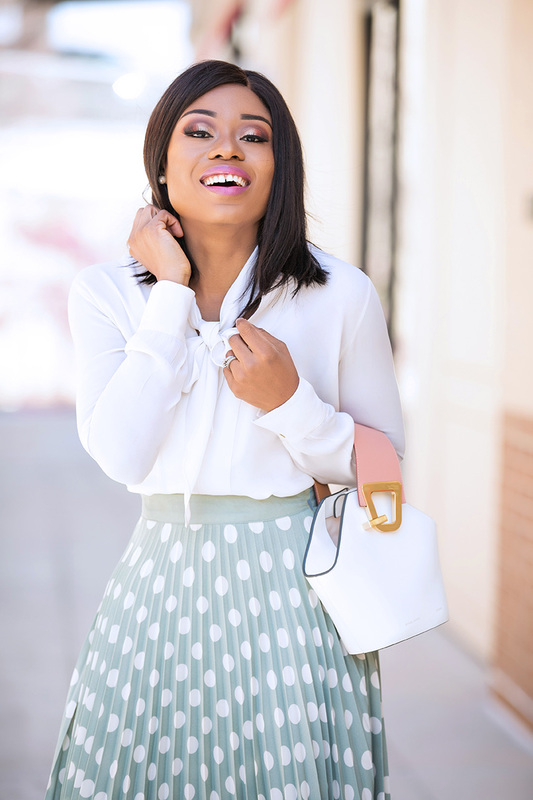 Pleated skirts are great options for spring/summer work style and this New York & Company orange pleated skirt will be a great pop of color for spring. 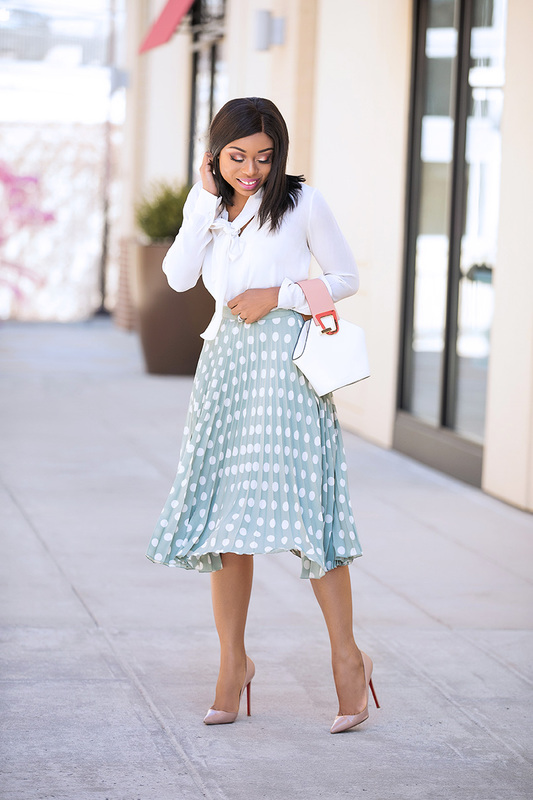 This pleated skirts can be styled both for work, events or upcoming Easter. 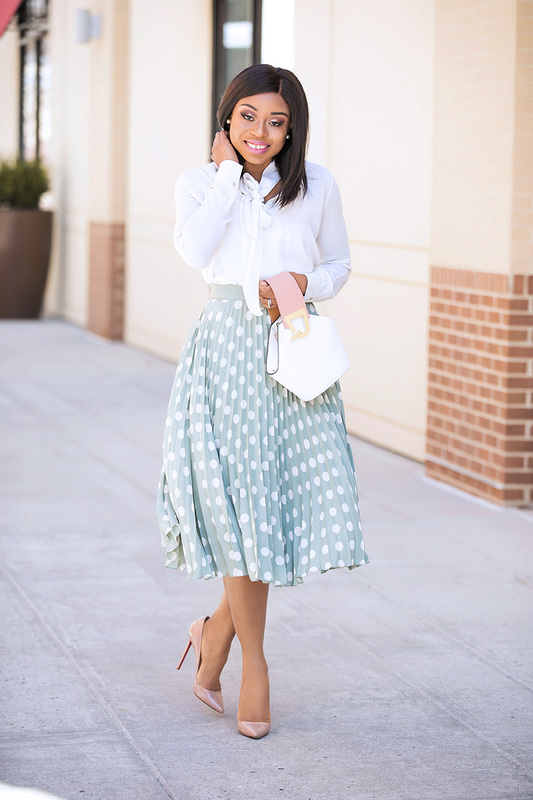 Styling pleated skirts for work, I wanted to keep it simple and fresh by pairing it with an off-white blouse and beige pumps. 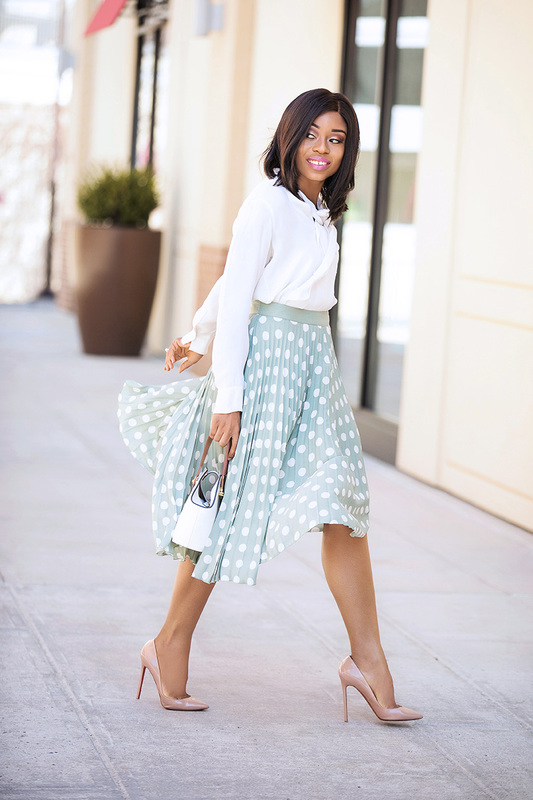 With the polka dot details, the pleated skirt stands out on its own hence the simplicity. I completed the look with beige pumps. 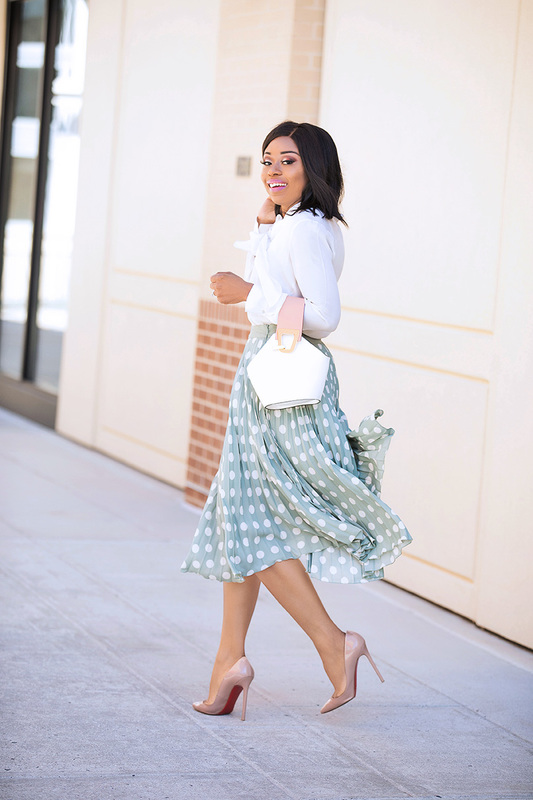 Classic beige pumps are always a great addition when styling pastel colors or pleated skirt for work. 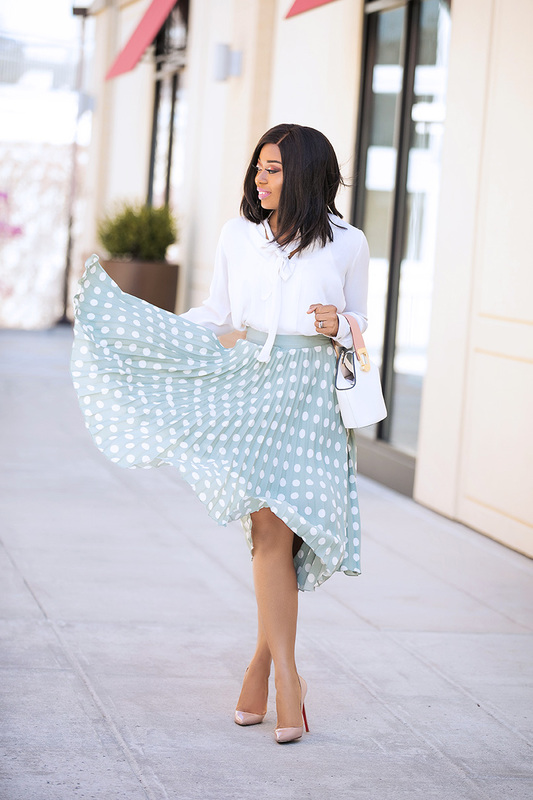 I love the skirt and your makeup is gorgeous!